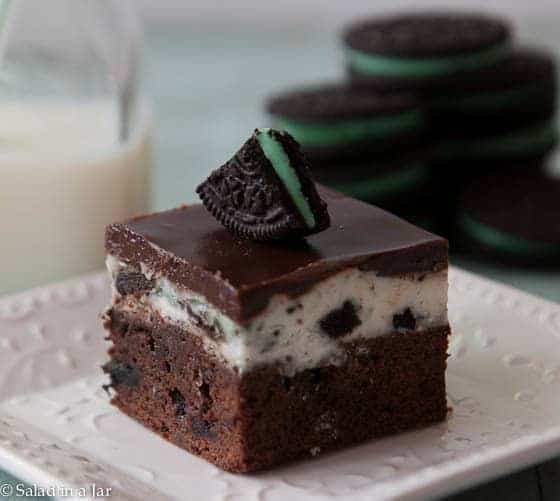 Mint Cookies and Cream Brownies have a base of brownies infused with mint Oreos, cookies and cream frosting, and a chocolate ganache layer on top. 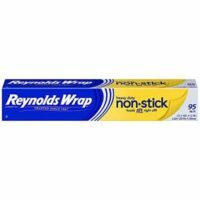 And, it has to be said, they are very rich, almost candy-like. Cut in small pieces. It was a blustery spring morning at Turner Falls in Oklahoma. 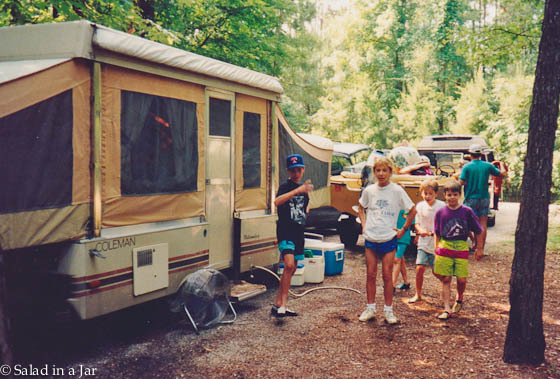 We were on one of many camping trips with our friends, Steve and Joan, along with our combined offspring. Our home for the weekend was a simple pop-up camper. It could have been worse. Maybe. Restroom accommodations were better than an old-fashioned outhouse, but just barely. Because it was Spring Break, 3 or 4 port-a-potties were installed across the parking lot to accommodate the overflow of campers. Following breakfast the first morning, I reluctantly trotted to the port-a-potty. After getting comfortable (no easy task considering I had to hold my nose at the same time), the wind rudely took advantage of my failure to lock the door. Without so much as a knock, apology, or explanation, the door flew open, and not just a few inches either. Oh no, the door opened all the way, banging on the side as if signaling the whole world to take notice. The door seemed plastered to the outside wall in that position, refusing to provide any privacy. I was horrified, especially when I realized my family and friends were staring/giggling/dying laughing at me. You can probably imagine the challenges and gracefulness involved in closing a wide-open, glued-to-the-wall port-a-potty door from the inside with my shorts down. A-hem! Grasshopper cookies are another camping memory. (I realize these come in many forms, but I’m referring to mint Oreos.) Eating them never fails to bring on flashback-fever of many camping memories like the one I just recounted. When I saw the recipe for Cookies and Cream Brownies, I was anxious to try it with grasshopper cookies. I am happy to report they are just as good as the original recipe, especially if you favor the mint-chocolate combination. Use your own favorite brownie recipe for the base, if you like, but I’m warning you. The frosting and ganache are rich so a decadent brownie would be overkill in my opinion. I use my microwave brownie recipe. 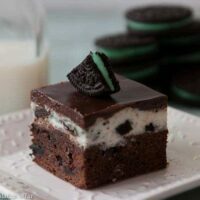 Mint Cookies and Cream Brownies have a base of brownies infused with mint Oreos, cookies and cream frosting, and a chocolate ganache layer on top. 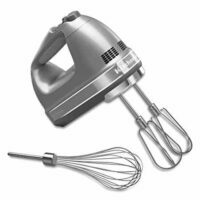 Blend eggs, sugar, salt, and vanilla with a mixer (hand mixer works fine) about 1 minute until light. 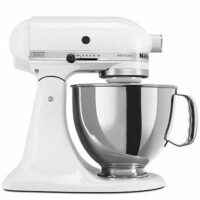 Sift flour and cocoa together and add to other ingredients at low speed just until the flour disappears. Stir in cookies. Pour into 8-inch square pan lined with parchment paper or non-stick aluminum foil. Bake at 350 for 20-25 minutes. Remove from oven and allow to cool. Beat room-temperature butter until light and fluffy. Add powdered sugar and heavy cream until consistency is spreadable. (This will likely require some additional cream.) Gently stir in cookie crumbles. Spread over cooled brownies. Chill. Break chocolate into small pieces and place in a small bowl. Heat heavy cream in microwave on MEDIUM for 2 minutes or until boiling. Pour heavy cream over chocolate and let it sit for 30 seconds. Gently stir cream and chocolate together in circular motion until smooth. Add butter a small piece at a time and stir until smooth. Spread on top of iced brownies. Oh Paula, you have me laughing so hard I’m almost crying at the picture of you in my mind! I know it wasn’t funny at the time but I’m sure it gave a lot of laughs over the years. I went to a Gary Smalley marriage conference once and he said that one of the things that families, who remain strong with good relationships, have in common is CAMPING! That sounded crazy to me but he went on to say that there are always crisis situations that make everyone have to work together when you’re camping and later the memories also help bond the family members together. I’m sure your family still smiles at this recollection! The brownies are gorgeous and so delicious looking! How in the world do you cut them so straight? I think I need to go back to “cutting school”! Hi Chris, Love the words of wisdom from Gary Smalley. I agree. Even though I’m not really a big camper, I was happy to do it to make memories with family and friends. How funny, but sad story of camping :D. Your brownies look perfect and I do like mint so these would be wonderful to me. Microwave brownies you are kidding I will have to give them a try. Microwave brownies are absolutely fast and fabulous. I don’t always make them in the microwave because sometimes I want squares and they are best in the microwave when made in a round pan. I bet you couldn’t tell any difference in the taste whether baked in the oven or microwaved. Oh no! Very funny though. The brownies look fantastic! Hi Susan, Great to hear from you! Hope all is going well. Thanks for the laugh! Yup! Those are the disasters typical of camping. Now, maybe it’s just me, but do you really want to share a brownie recipe on the same page as the porta-potty story? Oh wait..they’re mint! Sorry..couldn’t resist. Love your blog! What a story! That is one for the forever memory books! Good thing they didn’t have cell phone camera’s back then or it just might had been all over facebook. Yikes! Mint and chocolate is Abbey’s favorite (also the most popular ice-cream ordered at Friendly’s Restaurant where she is a server). Your recipe looks delicious and your photo perfect! That was a funny story though I can imagine how embarrassed you were. I think I would have headed straight for home!! These brownies look delicious and the orange waffles you mention in the comments sound wonderful. Great story. Great recipe. Great picture. The brownies look so good!!!! I’m gonna have to make them!! I didn’t realize your mom was a white bread Nazi. Loved our camping breakfasts, especially Orange Waffles. That was a FUNNY story! I thought things like that only happens to ME. I was just telling my husband how much I would like to try camping again. I don’t do well in the outdoors – a simple mosquito or chigger bite can last for one to two weeks keeping me in misery. And I can’t sleep when it’s hot. Maybe when it’s cooler in the autumn we can go. The Mint Cookies and Cream Cookies look great! Gonna have to give them a try.